So this show from Dragon Gate I was looking forward to and now it was finally uploaded at this will be Kotoka’s retirement match from professional wrestling and I will get to him when I get to his match, but time to dive right in and see what we got. 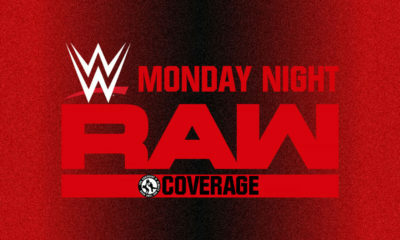 Review: We start off with a regular eight man tag match that starts with some nice comedy before the bell and during the beginning of the match. The match itself wasn’t the best and what you expect since it was mostly all over the place, but it’s not horrible either. 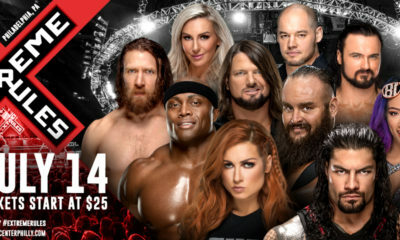 Can’t fully fault them when the match lasts five minutes and not a lot of time to give others time to showcase, but it was more for entertaining the fans type of value, so I guess it’s a win for them. Skywalker picked up the win over Shachihoko with the Skywalker Moonsault. Recommended: If you got five minutes to kill, otherwise it’s decent. Review: We get to see more Punch Tominaga after winning the Open the Brave Gate Championship a couple weeks ago and starts off with having a match with K-ness and it was actually pretty decent. K-ness holding off on his own and working well with Punch, their moves were nicely executed aside from the Slingshot Spear which looked a little off, but nothing really to fully complain about in general. 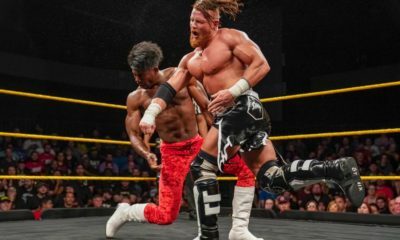 The match ends around five minutes in a no contest due to ANTIAS interfering in the match to get revenge on Punch since he did take their title away from them afterall. I liked this ending since it gives the story more progression to their upcoming rematch later on in the month, so I’m looking forward to that one when it becomes available. Recommended: If you’re curious about this rivalry then I would watch it. Review: After Ben-K having an incredible match against Mochizuki, it’s time to bounce back up and gain some more momentum again. I don’t know why, but I still can’t get invested in Big R Shimizu or anything he is really involved and this is the guy that’s challenging for the Open the Dream Gate Championship too, I mean Mochizuki can probably make it good, but still a bit skeptical about it, guess I’ll wait til it happens. Recommended: I like Ben-K so I like watching his matches and you might like it. Review: I’m gonna be honest here, I’m really digging this pairing between Flamita and Zachary, I enjoy both of their work and just seeing the both of them team up, even when Zachary teamed up with Bandido they paired off very well also, so plenty of nice chemistry all around. 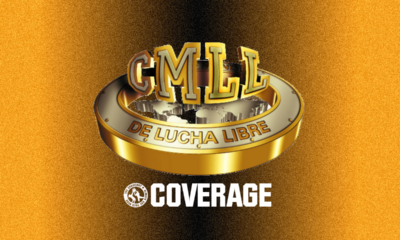 The match itself was a ton of fun to watch, got some nice luchador style opening sequence between Flamita and Bandido similar to what Ricochet and Ospreay did, but better since it wasn’t forced or over the type like how they did it. Always nice to see Jason Lee in the ring and his progression with these matches of his, I would like to see some singles action with him soon to see how well he does there, but time will tell. Tons of athletic ability showcased by all fours of them, high energy, nice humor, and just a great match to see as Flamita picks up the win over Bandido. 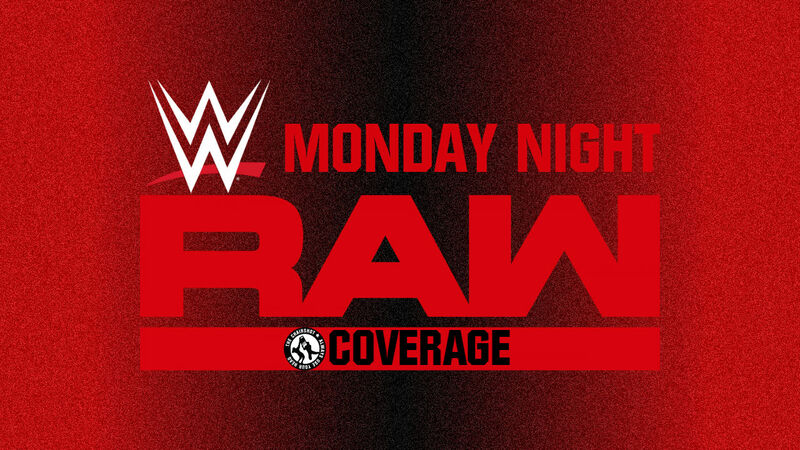 Review: We get our rematch between the two from a few months ago where they had a great match themselves, so now we get to see if they can do it again and which of course, they do. This match was just hilarious along with having good wrestling mixed in with it. Saito is just always a treat the watch with his style and humor as well as Shingo being just great in general, I love their chemistry and love how they kept the crowd so entertained. Shingo would get the win in a entertaining eight minute bout, but we’re not done yet as we have to have a fan vote to crown the champion. For those that don’t know, the Owarai Gate Championship is their comedy based championship and a champion is determined based on fan voting, so you could win the match and still lose the title if they vote for the challenger. 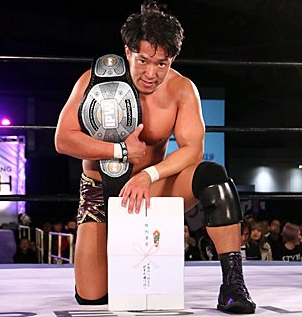 And the winner of the match is, Shingo Takagi as he wins the Owarai Gate Championship which caused him to be outraged by it and demands a recount, and of course he wins again leaving him even more annoyed as he really hates that title. Gimmick wise I don’t blame him since he went from being a four time Open the Dream Gate Champion to winning their comedy belt. After he throws the belt away, he also brings up the rematch between Kanda and Punch for the Brave Gate Championship and how he still doesn’t fully trust Kanda and will take responsibility if he still loses to Punch. Recommended: Definitely watch this one, a good time for everybody. Review: With Kzy looking to aim for the Twin Gate Championships, this match seemed fitting to do to get some story progressed for whenever the match decides to happen. The match was very fun to watch with T-Hawk and Eita working well together and everyone in the match getting some time in giving us nice sequences except for the all out assault outside the ring before the match started due to the camera angles not showing all too much. The final five minutes of the match was where it got more intense with the sequences in the match almost near falls up until Eita got the pinfall Genki with the Biblia which looks awesome by the way and you should look up a clip. After the match, ANTIAS would assault the other team and Punch Tominaga came out to help make the save as we now have a match set for April and Kzy looks to have revealed his partner named Brother YASSHI as he comes out to make the tag match a five on five before the Twin Gate Championship match which will be T-Hawk, Eita, El Lindaman, Yasushi Kanda & Shingo Takagi vs. Kzy, Genki Horiguchi, Susumu Yokosuka, Punch Tominaga & Brother YASSHI, so don’t wanna miss that. Recommended: Fun match and no complaints, give it a watch, plus Kzy is great. Review: We have Kotoka’s final match with a ten man tag consisting with some of the best in the roster and it’s a nice way to end his career if it was gonna be a tag match as the crowd covered him in streamers. Kotoka has been wrestling for about eight years and has been apart of Dragon Gate throughout his entire career and only winning one championship, the Open the Brave Gate Championship where he would hold it for 125 days. In 2016 however is when he got injured and had a couple of other injuries since then which lead to where we are now which is his retirement match. It’s a real shame too having to retire at the age of 28 when you’re not even at the peak of your career yet. The match itself was just nonstop action, great spots involving everyone in the match and whoever they were fighting against, it was nice seeing Kotoka and Mochizuki going at it a few times and if he wasn’t retiring, I would’ve been okay with him getting a Dream Gate Championship bout against him. CIMA and Dragon Kid teaming up again was something I really missed and I hope they do it again soon, but for now I’m content with the split up while still being in a unit to lead to possibly more team up’s. For about 25 minutes, they give us everything we could’ve asked for in a match and then some as Kotoka went out in the traditional way by taking the pinfall in the bout by YAMATO. 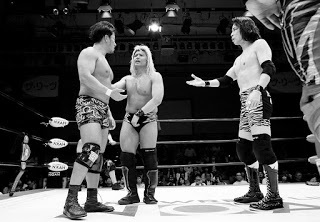 After the match, Kotoka’s brother, Oji Shiba would come out and ask him to have one final match against him since that was his dream and would never get this opportunity unless it would happen right now, Kotoka was moved by his brothers words as he agrees and the match starts right now. Review: The match itself was almost three minutes with Oji trying to take advantage of the fact that Kotoka was already beaten up from his previous match, but Kotoka showed that he had a lot left in the tank as he delivered some stuff kicks, a couple of double stomps off the middle rope, and then finished Oji off with one final Caldera . 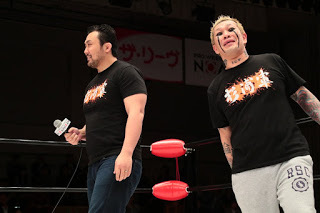 I loved Oji’s fighting spirit, but losing to his older brother showed he had a lot of work to do to finish where he left off and I wish him the best as this was the best way to go out, one final match against your brother. After this match we would have a ceremony as everyone from the roster except for anyone in the ANTIAS unit would be around the ring as they all had a chance to say goodbye to him, share the great memories they had with him, and even Ben-K trying not to cry, but failed to do so. Every single one of them just showed him the upmost respect that he deserves and his younger brother would be the last one to say goodbye to him wishing they won the Twin Gate Championships together, but he will always cherish their one on one match together. Kotoka would then say his farewell speech which is posted down below. Recommended: The match, the one with his brother, and even the ceremony, watch it all please. 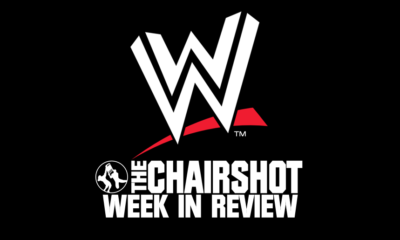 Overall: While this was the weaker of the three major shows of that week, it was still a success and Kotoka would have a proper farewell to end his career. Thank you, Kotoka.